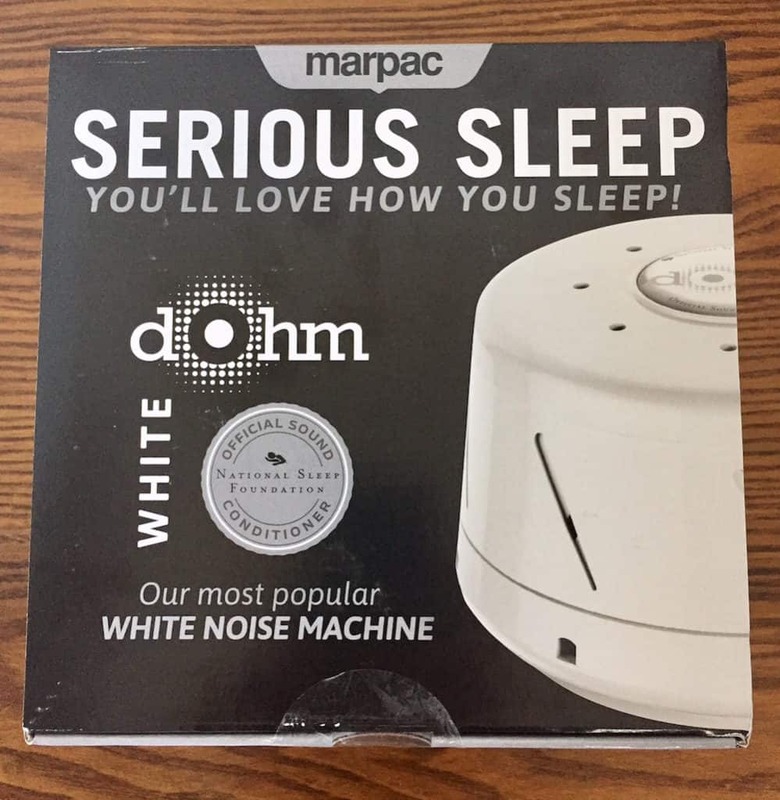 Dubbed “the original sound conditioner beloved by generations”, the Marpac Dohm Serious Sleep sound “conditioner” has been a fan favorite since 1962. Read on for details and my thoughts on this mainstay in the white noise industry. 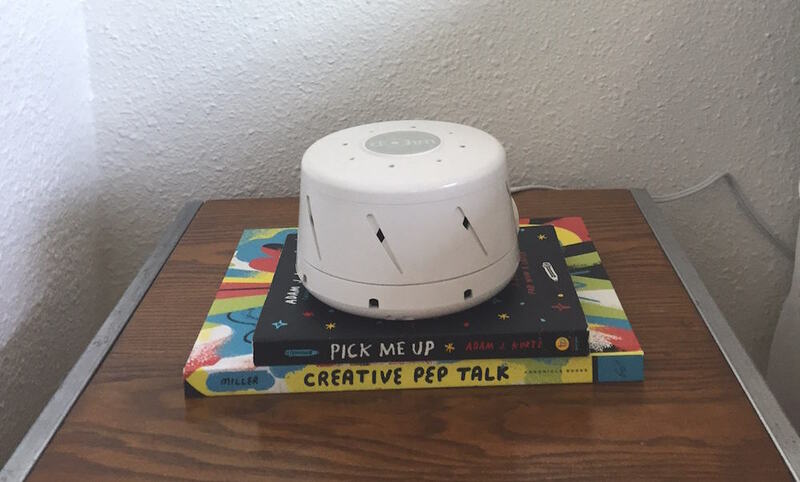 This sound machine offers a simple, user-friendly way to tune out the silence. The “volume” is operated by a button you push to select high or low, the same button also turns the machine on and off. Leaving it neutral keeps the machine turned off. The Serious Sleep machine comes with an attached power cord (the only power source ) and a one-year limited factory warranty. The fan is the original white noise and the goal is to drown out the sound around. 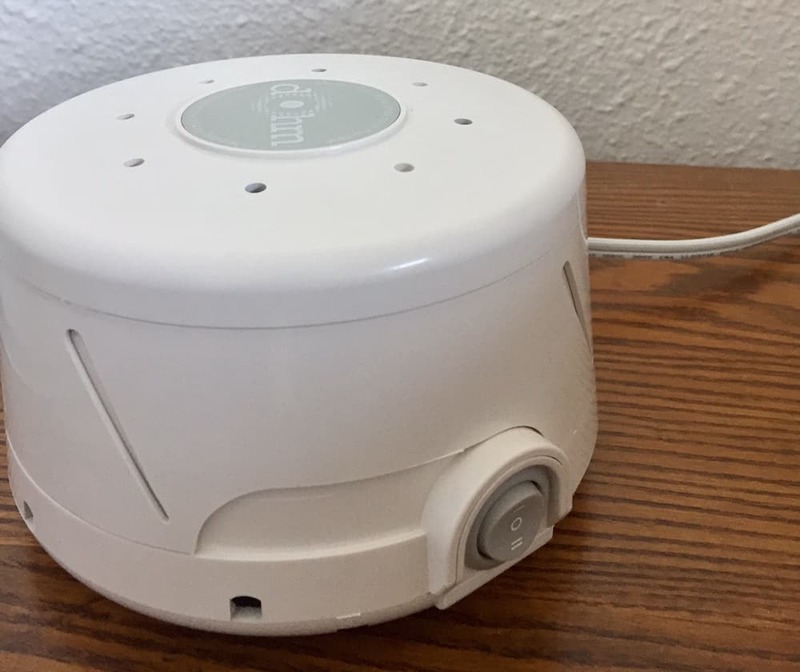 While it does not advertise being a machine that tries to soothe you to sleep, like others I have reviewed, it does provide ample sound that will perhaps help you stay asleep. The Dohm Marpac Serious Sound machine does boast being essential to help keeping environments private. 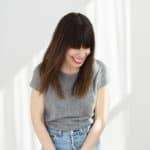 This is a good option for therapists or doctors who communicate sensitive information. It is not technologically advanced and is not trying to be. Simple in form and function, it has one job and it does it well. 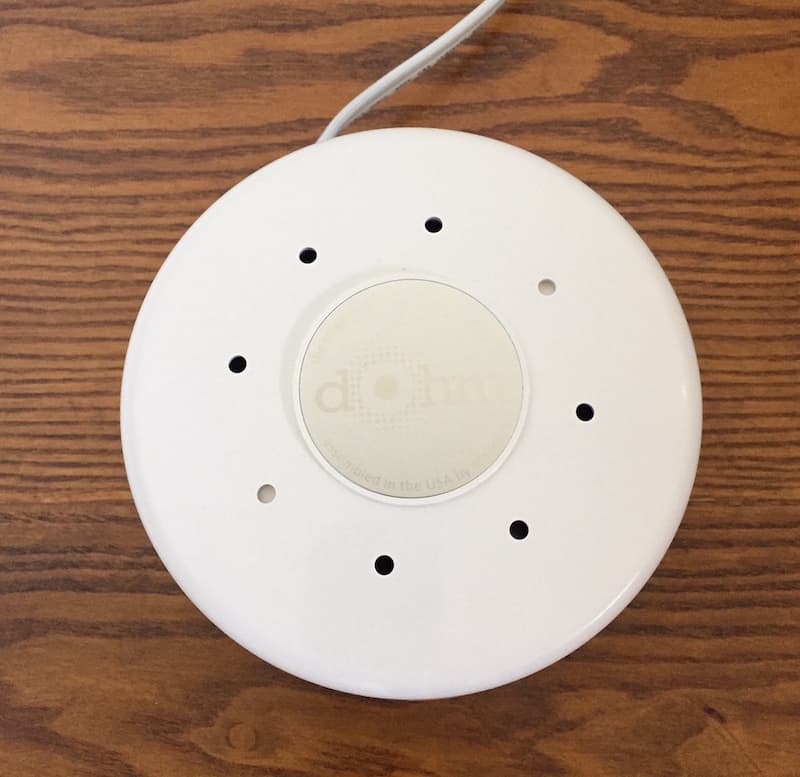 The Marpac Dohm Serious Sleep machine is a straight shooter, read: not overly complicated. You can operate the machine in three simple steps (including plugging it in). Step 1: plug in the machine; Step 2: turn on the Serious Sleep machine by selecting “high” or “low”; and Step 3: adjust the fan sound by turning the machine to the left or the right. Voila! You are done. Using the Serious Sleep machine is well, very easy. I have no qualms or resistance and quite like that this is considered “old school” in the sound machine world. Quite simply: it gets the job done, without being fancy or overly technical. When falling asleep I did not experience any looping or track repeating issues that can create distraction, at least for me. The high/low power options allows volume control and the fan, which I have previously mentioned is one of my personal preferences in the realm of noise options, is strong and maintains without the hiccups of perhaps a more advanced model. This feature helped me stay asleep and not wake due to the random technical issue that can sometimes arise with sensitive volume controls, like suddenly increase or decrease in the sound levels. I had a solid night’s sleep, which equals a positive experience in my book. I would recommend this to anyone wanting a sturdy, yet simple, sound machine. The Serious Sleep machine has been around for some time and therefore is available at most big box stores: Target; Bed, Bath and Beyond; Amazon, etc. It retails for $49.99 wherever it is sold. Highly praised and by far the most reviewed sound machine on Amazon, the Serious Sleep machine has garnered a very loyal following. The negative feedback mostly consists of people who did not think the machine was loud enough. 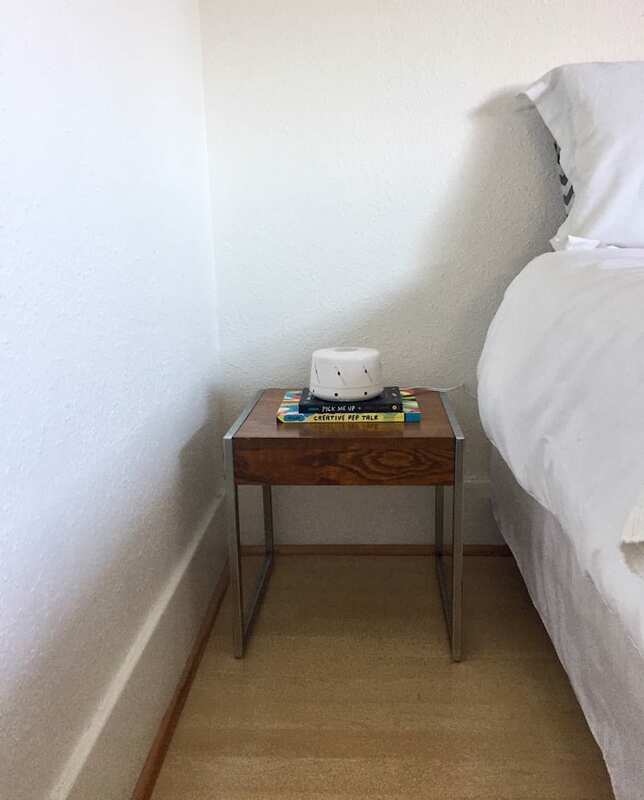 The Marpac Dohm Serious Sleep machine harkens my grandparents in the way that it feels tried and true. In fact, my grandparents may have had this very model in their own home. It is not trying to be something that it is not, which is potentially why it has such a loyal following. The Serious Sleep machine is also strong as a noise reducer/mask in an office that requires privacy or a form of relaxation (i.e. massage, spa, etc.) For me, these are all positives. Personally I am a sucker for design, so while this visually does not appeal to me, especially for the price, if aesthetics not your focus (understandable for a sound machine), then it is a non-issue. The fact that it is so easy to navigate and has variations of one of my preferred noise options is a definite plus. It is also small, which makes it easily portable. Bottom line: if you like simplicity, this could be your match. Ready to buy? Get your Marpac Dohm Serious Sleep today!